Are you looking for land for sale in Derbyshire or a renovation or conversion opportunity? Plotfinder.net holds a database of building plots across the Peak District, England, Northern Ireland and Wales. Above you'll find links to the latest properties for sale in Derbyshire. 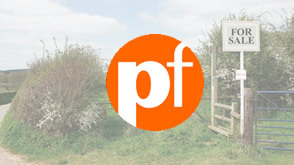 You may also be interested in looking for land for sale in the counties surrounding Derbyshire such as; Nottinghamshire, Staffordshire, East Cheshire or South Yorkshire. Use the search box above to refine or change your search criteria. Property listed includes; building plots, renovation and conversion opportunities, lots sold by auction and property for sale by private sellers. A Restored Stone Cottage: Behind the traditional façade of Tim and Janet Brown’s sensitively restored and extended cottage lies light-filled, contemporary-inspired interiors.